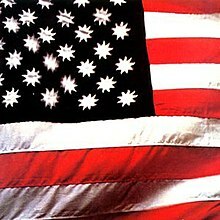 SLY AND THE FAMILY STONE: THERE’S A RIOT GOIN’ ON: 1972: 5 STARS OUT OF 5 STARS: This would be the only Sly and The Family Stone album to hit #1. It was originally going to be called “Africa Talks To You” but was retitled in response to Marvin Gaye’s “What’s Going On”- which came out six months earlier. Things were starting to come apart for the group during the recording of the album. Sly Stone had a drug problem and there were tensions within the group. Listening to their earlier work it is mostly optimistic music but this album turned very dark but oddly enough it is considered by most to be their finest album. The single “Family Affair” went to #1. Other favorites on this include “Poet”, “You Caught Me Smilin'”, “Runnin’ Away: and who will ever forget the side 1 closer “There’s A Riot Goin’ On”-which clocked in at 0:00. R.E.M. : AND I FEEL FINE.. THE BEST OF THE I.R.S. YEARS: 1982-1987: 2006: 5 STARS OUT OF 5 STARS: R.E.M. released fifteen studio albums- the first eight were standouts- the final seven were average at best. The I.R.S. Years cover their first five albums before they signed with Warner Brothers[ and make three more great albums before jumping the shark} Nothing not to like on this disc. They rival U2 for greatest 80’s group in my mind. I first heard them on a college radio station in the early 80’s “Radio Free Europe”- and I was hooked. JOHN STEWART: BOMBS AWAY DREAM BABIES: 1979: 4 STARS OUT OF 5 STARS: This was kind of an out of left field success in 1979. Stewart was a former member of the Kingston Trio, a career musician who would record four dozen albums and six hundred songs in his forty year career. He had never had a hit record- before “Bombs Away Dream Babies” came out- he had three Top 40 hits on this album- “Gold”-#5, “Midnight Wind”-#28 and “Lost Her In The Sun” #34. The album itself cracked the top 10. It couldn’t have hurt to have Fleetwood Mac’s Lindsay Buckingham and Stevie Nicks on the album. After this John Stewart never had another hit. The John Stewart album to own is his second album- “California Bloodlines” from 1969. Excellent. This isn’t a bad album either-the three hits are the best songs on the albums but overall a nice listen. I probably hadn’t listened to this in thirty years. 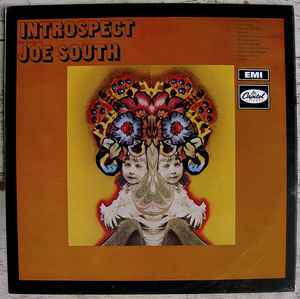 JOE SOUTH: INTROSPECT: 1968: 5 STARS OUT OF 5 STARS: I listened to this yesterday and reviewed it- felt like giving it another listen. 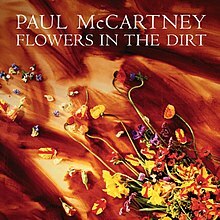 PAUL MCCARTNEY: FLOWERS IN THE DIRT: 1989: 3 1/2 STARS OUT OF 5 STARS: Paul’s previous album “Press To Play” was rather forgettable and he seemed to be in a slump. He made a great decision in calling up Declan MacManus aka Elvis Costello- and asking him if he’d like to write some songs together. The mistake on this album was only including four of the McCartney-MacManus songs. The best songs are the Paul- Elvis songs- “My Brave Face” is one of my favorite McCartney solo singles, You Want Her Too, Don’t Be Careless Love and That Day Is Done- are also stellar. Costello the greatest talent Paul had collaborated with since he worked with that Lennon fellow a couple decades earlier. I bet you were the only person in the entire world to listen to that John Stewart album yesterday! I’ll admit, I’m an REM apologist — I find genius, gems, poetry, and beauty in those later albums, but I do understand when people don’t. But, I really would argue your notion that “Monster” was “jumping the shark.” If so, I think there are a zillion other bands out there that wished they could jump the shark half as well. I’d also encourage you to drop the needle on “Reveal” again … it’s a beauty, but it usually needs an extra listen or two to find that.